Is your chair causing your shoulder pain? Have you ever worked a desk job? Or have known someone who does? 86% of all Americans sit at work for their job – whether that is a desk, a computer or table. That’s a large majority of the country’s population. How many of these workers that you know have taken the time to set up their work space appropriately to reduce neck stress and shoulder irritation? Most likely not all of them. 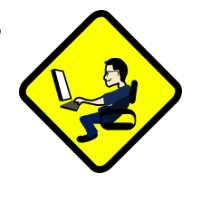 Improper set up when working at a computer or desk space is a common cause of neck and shoulder pain. This pain is most often due to poor ergonomic set up which places increased stress on the neck, shoulders, and wrists. A proper desk set up is important at the office and at home. A proper setup is critical if you have a previous neck, shoulder or wrist injury which can all be exacerbated by a poor work space. Below you will find an outline of the key items to check and modify when creating a work space. You may have noticed arm rests were not in the list above. This is because they are optional. Arm rests can be present when you are relaxed in the chair. They must allow the shoulder to be relaxed and elbows at about 90 degrees. If these requirements can’t be met, they should be removed to prevent excessive shoulder elevation. If you perform a lot of reaching and twisting motions, a swivel option is also a good feature to have in order to reduce stress on the body. These two items should be close together since they are frequently in use at the same time. They both should be lined up so that the elbows are around 90 degrees of flexion when the keyboard and mouse are in use to reduce strain on wrists. When typing, the arms shouldn’t be stretching to reach either the keyboard or the mouse. If so, it is too far away and needs to be positioned closer. If the majority of the work is typing with an alphanumeric keyboard, it should be positioned directly in front of the body. This distinction matters when using a keyboard with a number pad (usually to the right). If the keyboard has a number pad, line the “B” key up with the center of the body for proper alignment. If the majority the work involves the number pad, consider shifting the center so the number pad is more in the middle. When positioning the monitor, place it at eye level. Some monitors are adjustable while others may require a stand under them to adjust the height. Height adjustment can also be done by raising/lowering the chair while keeping in mind correct chair positioning. Once adjusted at eye level, most monitors should be arms length away. This is easily measured by reaching forward and the fingertips should just barely reach the monitor. This is the general guideline and will change based on monitor size. Those are the main 3 points to consider when assessing the workstation and if it’s the right fit for you. The final piece of information that is vital to not only your shoulder health but also to your general well being. Take breaks! It is critical to take breaks throughout your work day. Take breaks for your eyes from the computer screen. Take breaks from sitting still too long and allow the body to move. This will circulate blood and decrease stress to the shoulder joint and decrease likelihood of future injuries. For those of you looking for a little more info on preventing shoulder pain then check out our Free Shoulder Pain Video Course here. By checking out the course and following the steps above you will be far ahead of most people when it comes to preventing and even improving your shoulder movement and pain. If are looking for a little more info on ergonomic setup and preventing shoulder injuries in the future or have any questions regarding your current shoulder pain, please do not hesitate to give us a call at 610-295-9256 and get started on the path to a healthier work station. That’s all for now! Feel free to post any questions in the comments section below and if you sign up for a course you will be able to get to stay on top of all things Robbins Rehab!